we'll get the Foundations right. 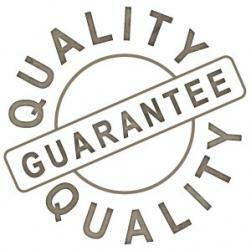 It's a simple fact: the standard of your building project rests on the quality of your Foundations. Whether you're a home builder, contractor, developer, architect or project manager, no one can afford poor quality foundations. Badly constructed concrete foundations are a major headache for any building project and continue to cause costly problems for years to come. The best solution is to use an expert team of specialists who understand the intricacies of constructing quality concrete slab foundations that will stand the test of time. Since 2005, Solid Bearing has worked with builders, developers, construction companies and homeowners in Christchurch to build concrete foundations and floor slabs for a wide range of sites and structures. Following the earthquakes in 2010 and 2011, many of our clients have looked to us for help with the rebuild effort. If your project is part of the rebuild, know that Solid Bearing is accustomed to working with insurance companies, so you can trust that the co-ordination will be smooth and stress-free. To get a free, no obligation quote for your project, contact Solid Bearing today. You simply can't afford to get it wrong.